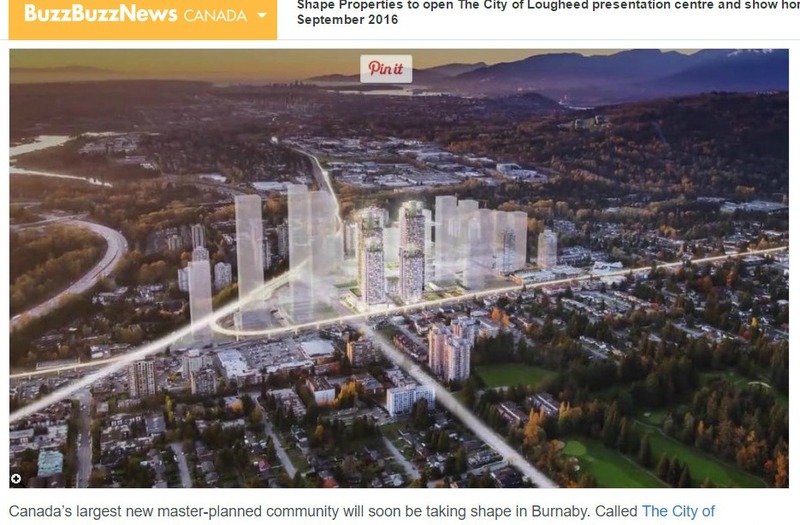 Burnaby’s “City of Lougheed” project, captured from a real estate site. 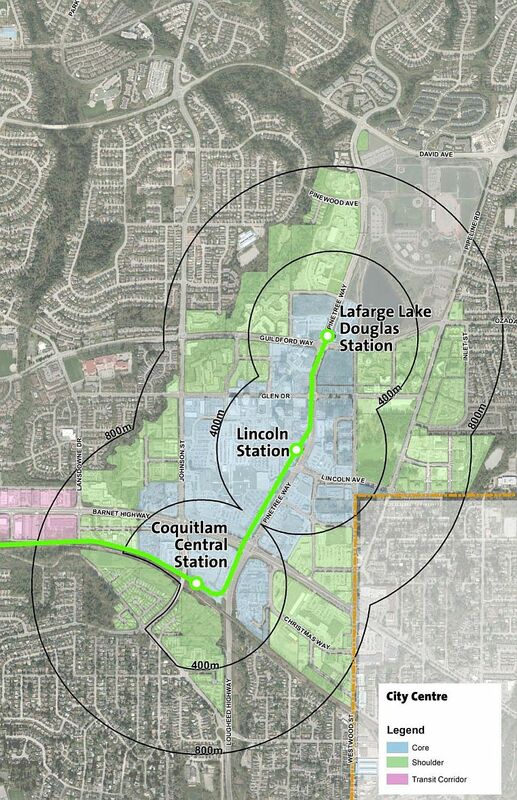 The Evergreen Line enters from the right to join the existing Millennium Line. 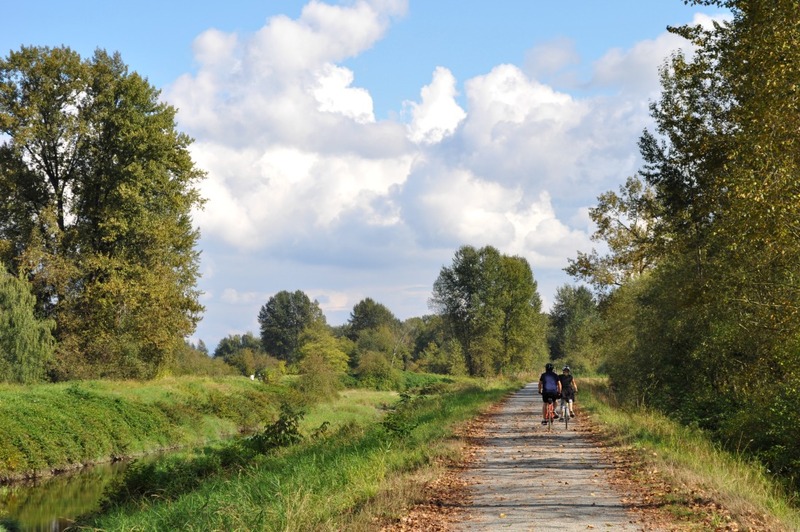 As an easy but interesting and varied urban bike trail, the Traboulay-PoCo Trail in Port Coquitlam measures up to anything I’ve experienced in Canada. 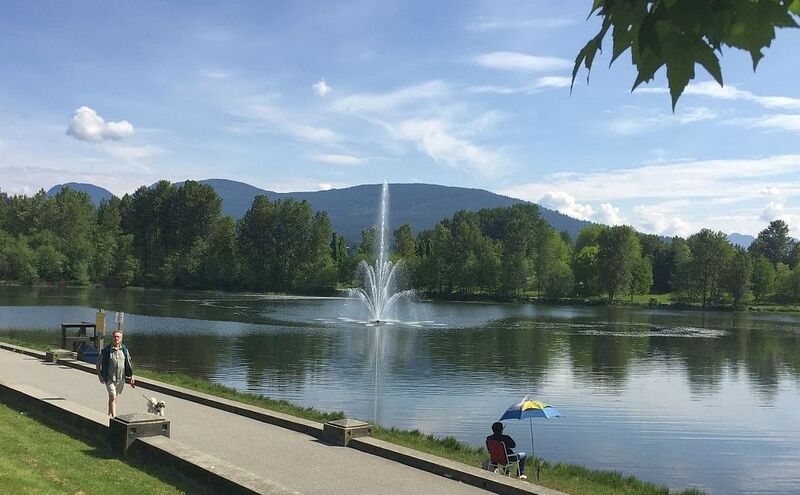 This 25-kilometre loop passes alongside five different bodies of water. 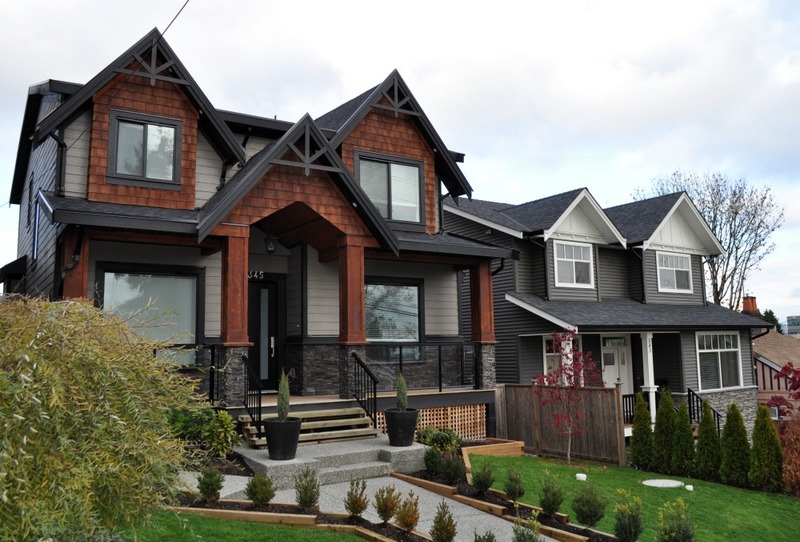 It’s virtually 100 per cent separated from traffic, with only occasional road crossings. Who would choose a mall parking lot as a place to take a walk? 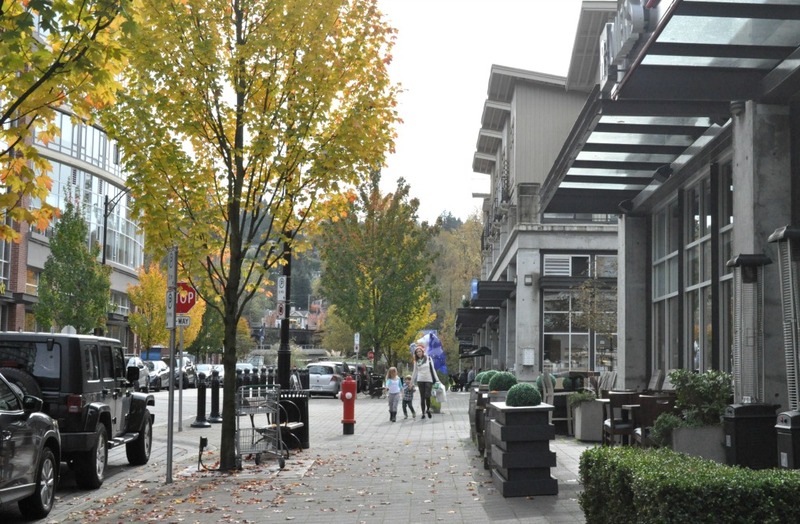 The walkable urban village at Coquitlam City Centre has emerged recently, with a new area of residential towers, neighbourhood offices and cafes, bridging Douglas College and an area of older housing to the vehicle-dominated Coquitlam Centre megamall. 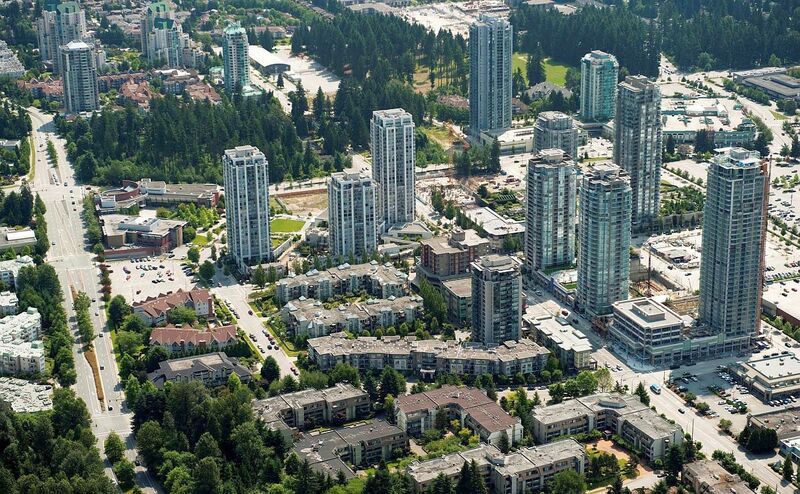 The Coquitlam urban core, from a 2013 municipal presentation. City Hall is the low-rise complex upper left. At least three new towers have joined this set within a 16-month period. 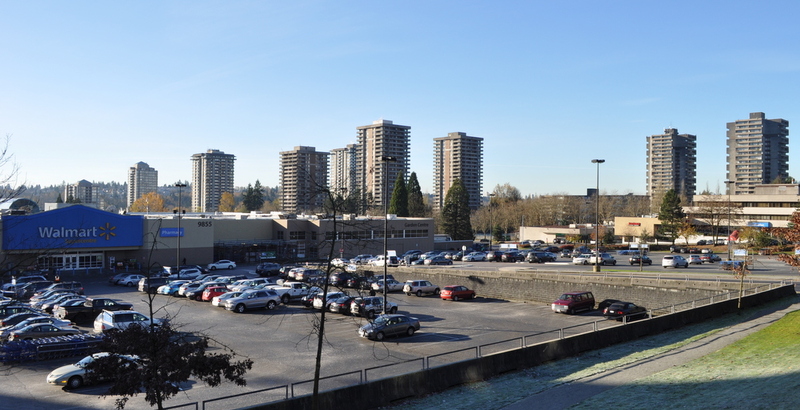 The streets behind the Coquitlam Centre mall feel like a pop-up city, construction dust still filtering down from unfinished towers. 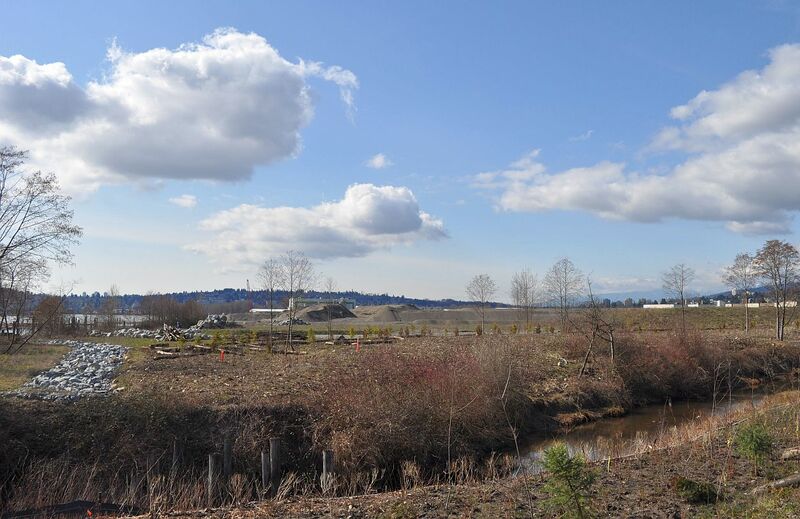 Looking across Como Creek to the proposed site of the Coquitlam waterfront village. 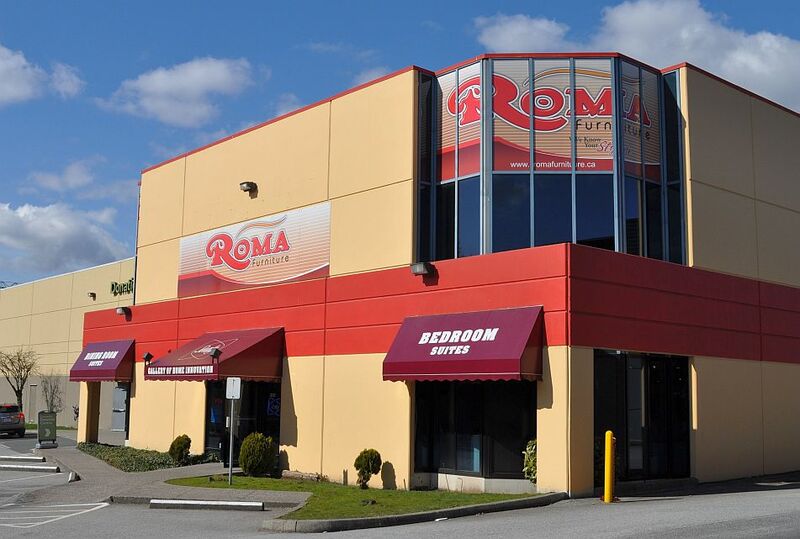 The hillside in the left background is New Westminster.